Movers and Shakers is a list of products on Amazon that are currently rising in the ranking. This week: fuzzy pajamas, an angry cat holiday sweater, and a pair of boots. 1. 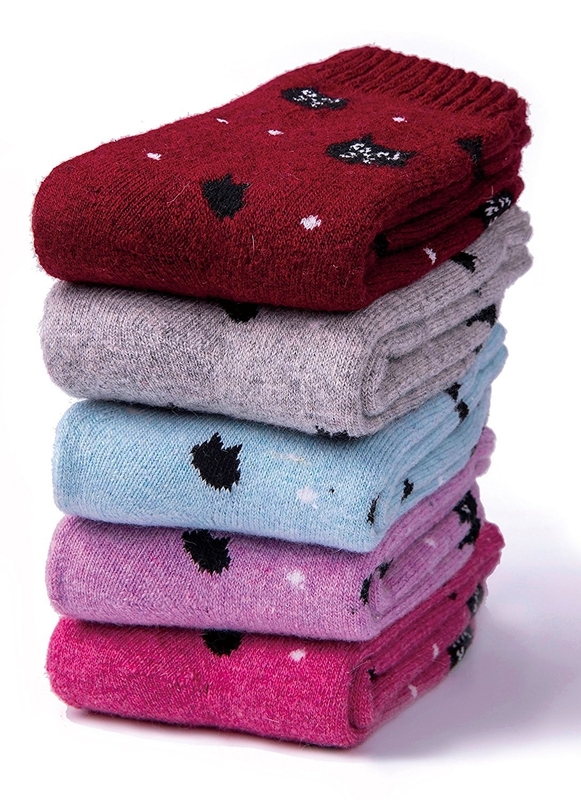 A pair of fuzzy pajamas you can lounge around in on a cold winter's day. Price: $16.99+. Sizes: S-4XL. Available in 24 colors. 2. An engraved spoon to let everyone know just how serious you are about hot and cold cereal. 3. A Totoro apron because even while cooking, the power of imagination prevails. 4. A four cup fat separator with a special strainer and tapered lip to make all of your holiday gravies so much more delicious. Promising review: "My fiancé loves his fat separator. It is especially great for gravies made from poultry basting and other things. The gray sifter and red stopper are both removable for ease of cleaning. 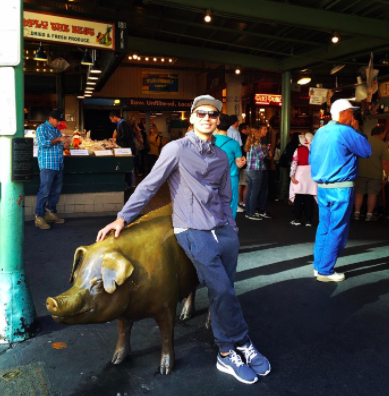 It's easy to handle and the choice of different sizes allows you to pick what is best for the storage space you have available." —Natalie L.
5. 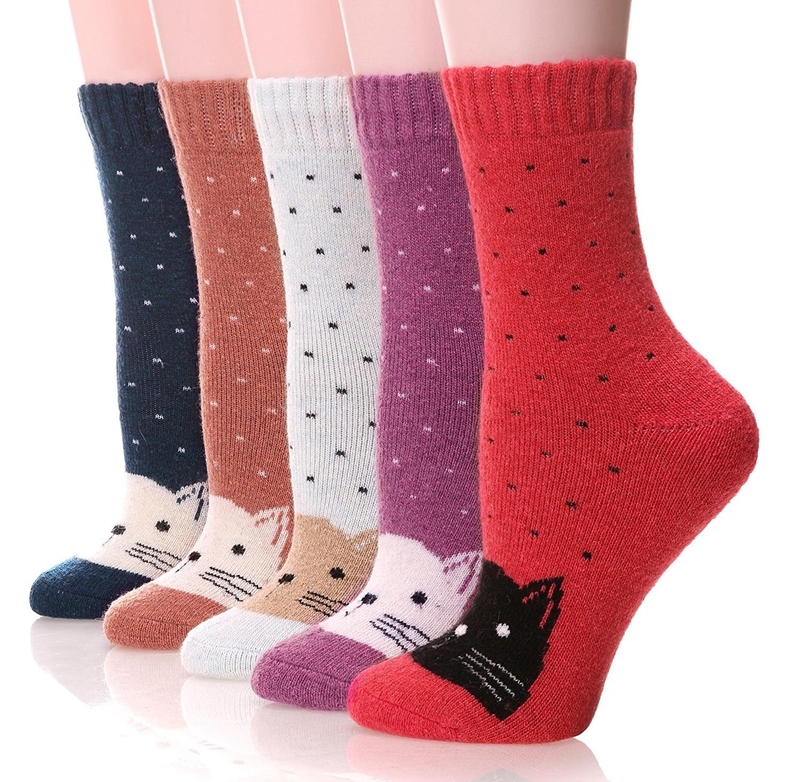 A pair comfy kitten socks you can slip and slide around the house in, just don't fall and break your neck. Price: $16.99 for a pack of five. 6. A bamboo cheese board with a built-in cutlery set so you can have fancy wine and cheese nights like a real ~adult~. 7. A copy of The Bodyguard, which is probably the greatest love story of our time and gifted us with the greatest ballad only Whitney Houston was capable of. ".....and I will always, love you!" 8. A pack of cleansing wipes made with grapefruit and salicylic acid to remove excess dirt and oil from your skin. 9. A Pusheen the Cat calendar so you can start off your new year in the most adorable (and responsible) way. 10. 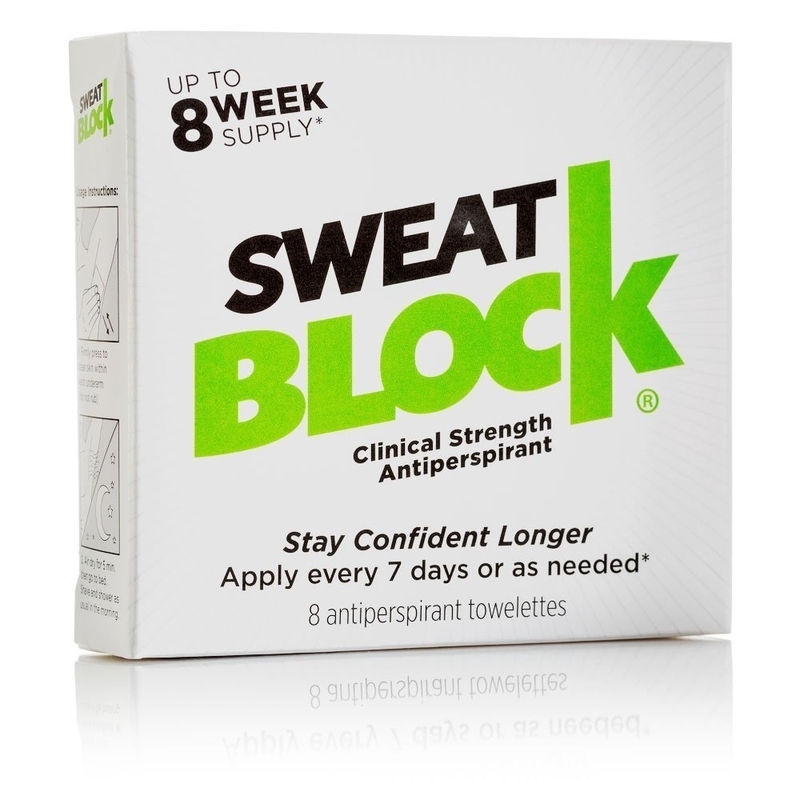 An eight-week supply of antiperspirant wipes that'll reduce sweat so you can lift your arms above your head without feeling self-conscious. 11. An adorable elephant watering can so you can keep all of your inside plants well-hydrated. 12. An angry cat holiday sweater that will honestly be the topic of conversation at your get togethers. Price: $17.99+. Sizes: S-XL. Available in 23 colors. 13. 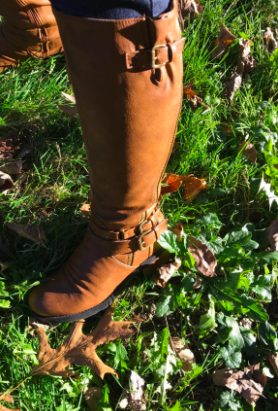 A pair of knee-high boots with faux fur lining to slide right over a pair of skinny jeans. Price: $34.99+. Sizes: 5-12. Available in nine colors. 14. A set of measuring cups that will definitely give you the right portion of brown sugar you'll need for that cake you're thinking of baking. 15. 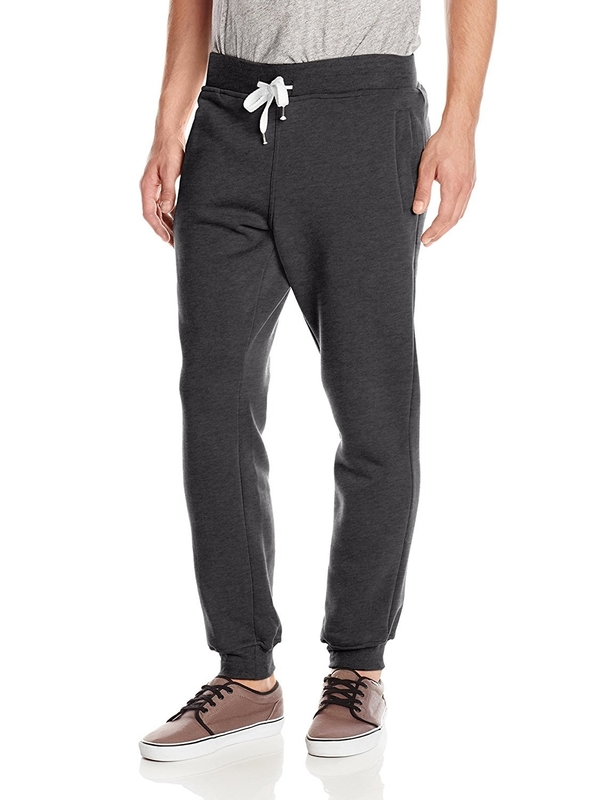 A pair of fleece joggers to keep you warm while you go out and run errands in style. Price: $10.79+. Sizes: XS-6X. Available in 17 colors. 16. A handheld mixer with a handy storage case perfect for making your famous desserts. 17. An Instant Pot cookbook that can teach you how to make bomb meals without slaving over a hot stove. Price: $13.96. Also available on Kindle. Check out the Instant Pot here! 18. 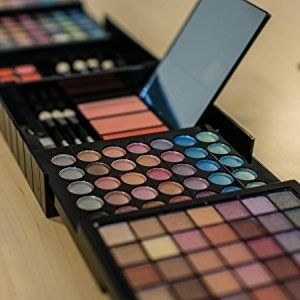 An all-in-one makeup kit with an abundance of eyeshadows, blushes, and lipgloss you can use for your holiday makeup lewks. 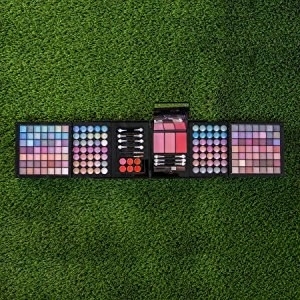 It includes 98 shimmer eyeshadows, 70 pastel eyeshadows, six lip glosses, three blushes, seven sponge brushes, two lip brushes, a lip brush and mirror! 19. A really pretty gemstone necklace to adorn your beautiful neck in the most spectacular fashion. Price: $15.99. Available in 27 colors. 20. A holiday DVD set so you can relive your childhood in all the right ways. Includes Rudolph The Rednosed Reindeer, Santa Claus Is Coming To Town, Frosty The Snowman, Frosty Returns, Mr. Magoos Christmas Carol, The Little Drummer Boy, and Cricket on the Hearth! Rudolph the Rednosed Reindeer, you'll go down in history!